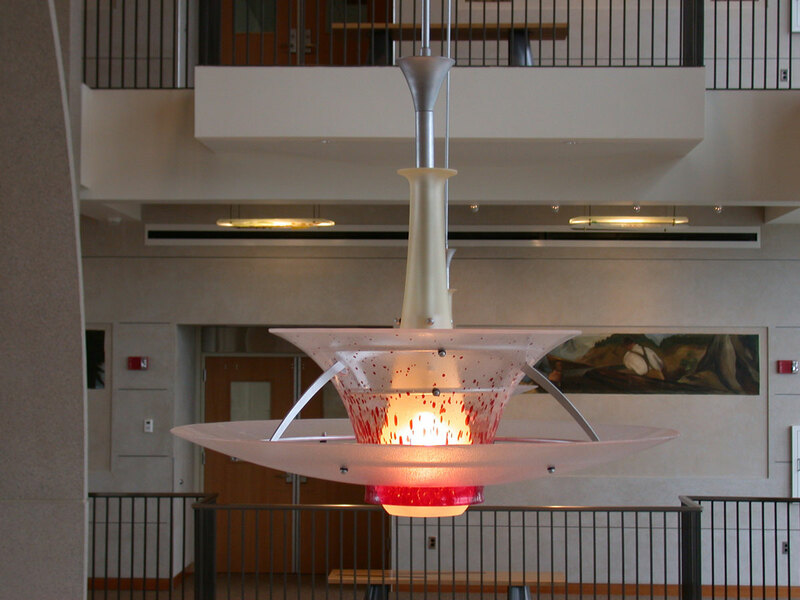 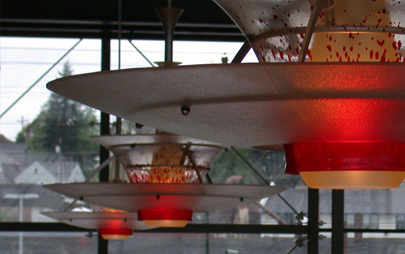 These custom lights grew out of Bullseye Glass Company’s architectural glass project, Multiplied Light. 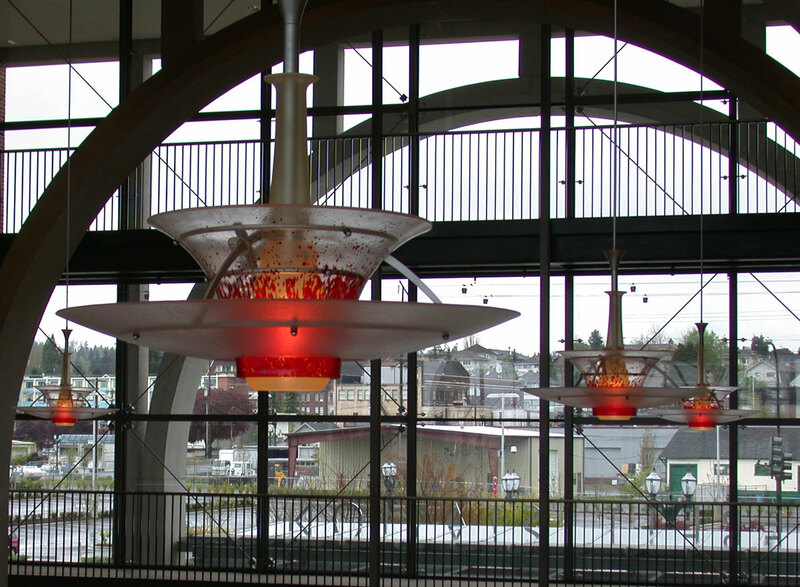 Greg Baldwin and Dale Alberda of ZGF Partnership used this project to design a prototype for the new Everett Station transit center in Everett, Washington. 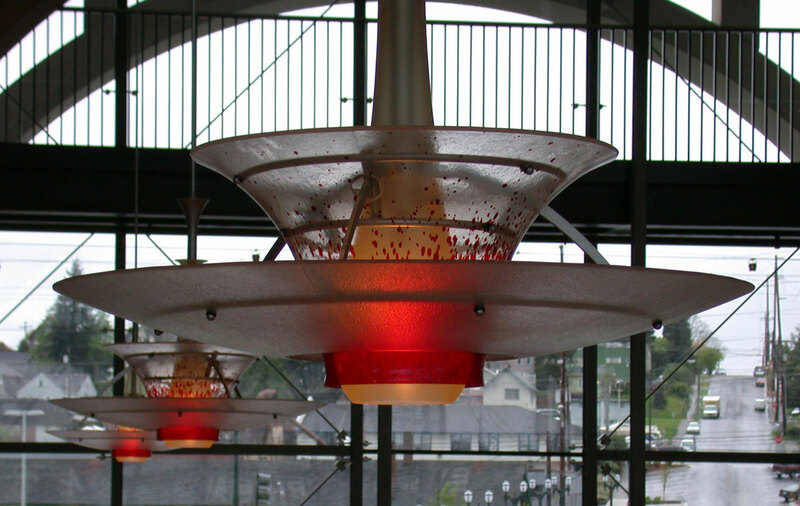 Six lamps were produced for that large public space, reminiscent of the great transit stations of years past.